If you are interested in getting free room access to the Insei League on KGS (for watching lectures and simultaneous) you can get it free of charge, if you are lucky. Every month every 10th user will get 1-month long Insei League room access. On Feb, 1 we will announce the first group of users. After that we will make in on March, 1, May, 1 and so on. I will invite the referee, who will select the prize winners randomly, so everything will be fair. 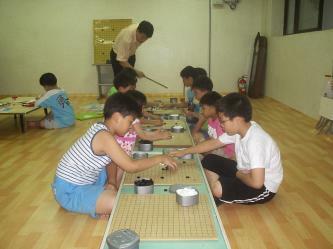 All baduk.pro members, of course. Are only new members eligible to the prize or will everyone (including old members) have a chance each month? And does room access mean watching only or is asking questions allowed?